Welcome! On this web site you will find information regarding the professional development services offered by 21st Century Schools. From Regional Institutes to personalized on-site workshops and instructional coaching and consulting, these services and are also available online, either as self-paced courses or live, in our Virtual Classroom. ​See our newest offerings at Paradigm Shift! ​All of our programs and services can be brought to you anywhere in the world! Also, please see our initiative, the International Coalition for 21st Century Schools, and become a member today! You may join at a Basic Membership level or you may wish to become accredited as a 21st Century Schools through a number of pathways. Also, see our 21st Century Teacher Education Initiative which is available worldwide; this program will be custom designed according to the specific needs, strategic plans and goals for your district, organization or ministry of education. 21st Century Schools is the only provider of professional development in the world that offers a comprehensive and holistic program that is completely 21st century. Our programs take into consideration the importance of the learning environment - physical, emotional and academic. Here is our Framework for 21st Century Education! 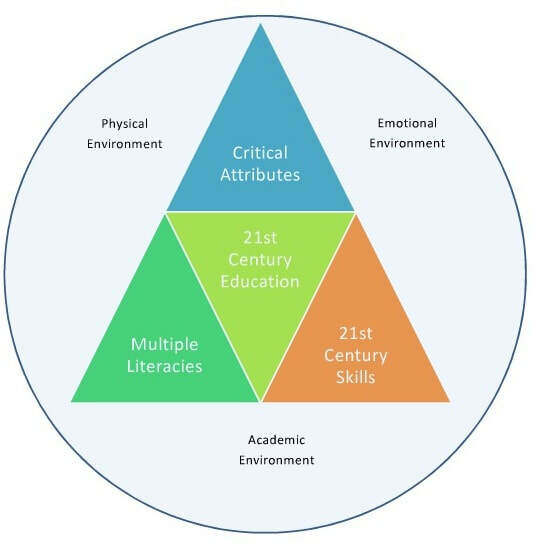 Within this framework we consider the Critical Attributes of 21st Century Education, the Multiple Literacies for the 21st Century and the 7 Survival Skills for the 21st Century as articulated by Tony Wagner. View our Compasses for 21st Century Education below. These compasses, designed by Anne Shaw, are useful from the boardroom to the classroom, from policy planning to lesson plans. 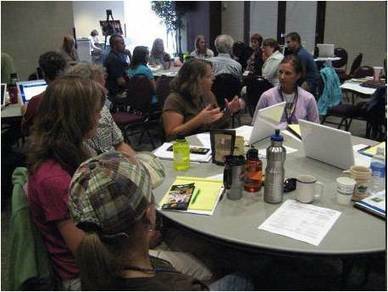 Please enjoy exploring our Professional Development offerings here. Please contact us to request additional information on how we can assist you in taking your schools into the 21st century. Back to main site for 21st Century Schools.